Pimcore Open Source PIM is one of the leading platforms that offers open-source product information management and master data management. It consolidates and centralizes all sales, marketing and technical product information to provide a consistent and unified solution. Businesses can use this to break up data silos to drive their business forward and boost efficiency. Pimcore PIM is built to manage, consolidate and integrate digital data in any type and amount. You can use this tool to make sure data is accurate, consistent, and up-to-date with its real-time synch. Hence, you can make sure to provide an outstanding user experience on all your customer touchpoints. The tool’s multi-domain and multi-vector capabilities enable it to be used and maximized by businesses in any size and industry. Pimcore is built to handle any digital data type to optimize managing, acquiring and sharing them. To eliminate time-consuming and potential errors in migrating data, the tool seamlessly integrates with other systems. It has an API-driven and service-oriented architecture that you can use to connect with third-party systems like ERP, BI, and CRM. Pimcore offers a consolidate setup where you can manage all your digital assets, web content, digital commerce, and product information. Hence, you can access a single and “trusted view” of information that empowers you to ensure consistency of data. Furthermore, it centralizes the way you deliver an excellent product experience for customers coming from multiple touchpoints. Pimcore is a highly flexible solution. It has more than 100 global solution partners, fast speed-to-market, and an API-driven approach. It’s based on an open architecture that developers, enterprises, and agencies can use with zero license cost. Used by over 80,000 companies in 56 countries, this PIM system is reliable in providing the right solution to cater to businesses’ product information management needs. If you are interested in Pimcore it might also be beneficial to check out other subcategories of Best Digital Asset Management Software listed in our database of SaaS software reviews. Since each organization has unique business needs, it is advisable for them to refrain from searching for a one-size-fits-all ideal software solution. Needless to say, it would be useless to try to find such a system even among widely used software platforms. The intelligent thing to do would be to catalog the various essential aspects that require consideration such as required features, budget, skill levels of employees, company size etc. Then, you should do your homework thoroughly. Read some Pimcore reviews and look into each of the other solutions in your shortlist in detail. Such in-depth groundwork can make sure you discard ill-fitting systems and choose the app that presents all the features you require for business success. How Much Does Pimcore Cost? We realize that when you make a decision to buy Product Information Management - PIM it’s important not only to see how experts evaluate it in their reviews, but also to find out if the real people and companies that buy it are actually satisfied with the product. That’s why we’ve created our behavior-based Customer Satisfaction Algorithm™ that gathers customer reviews, comments and Pimcore reviews across a wide range of social media sites. The data is then presented in an easy to digest form showing how many people had positive and negative experience with Pimcore. With that information at hand you should be equipped to make an informed buying decision that you won’t regret. What are Pimcore pricing details? What integrations are available for Pimcore? 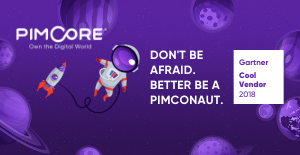 If you need more information about Pimcore or you simply have a question let us know what you need and we’ll forward your request directly to the vendor.